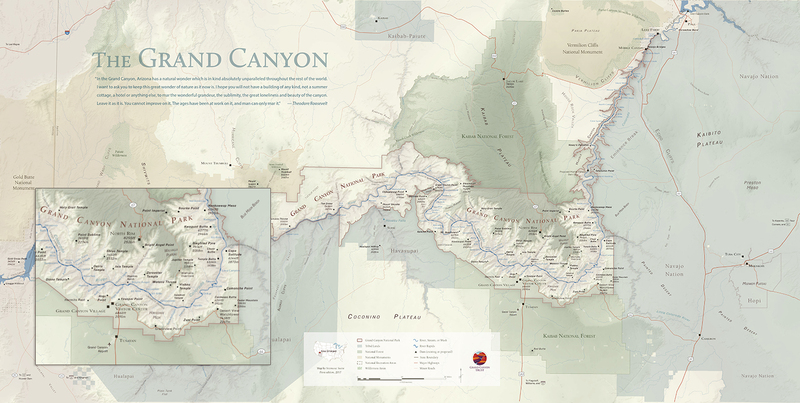 You've had great adventures on the plateau — now it's time to advocate for the lands you love! Your gift helps protect the Grand Canyon from new uranium mining claims, defend and restore Bears Ears and Grand Staircase-Escalante national monuments, and preserve our public lands across the plateau. You make these critical protections possible today, for generations to come. 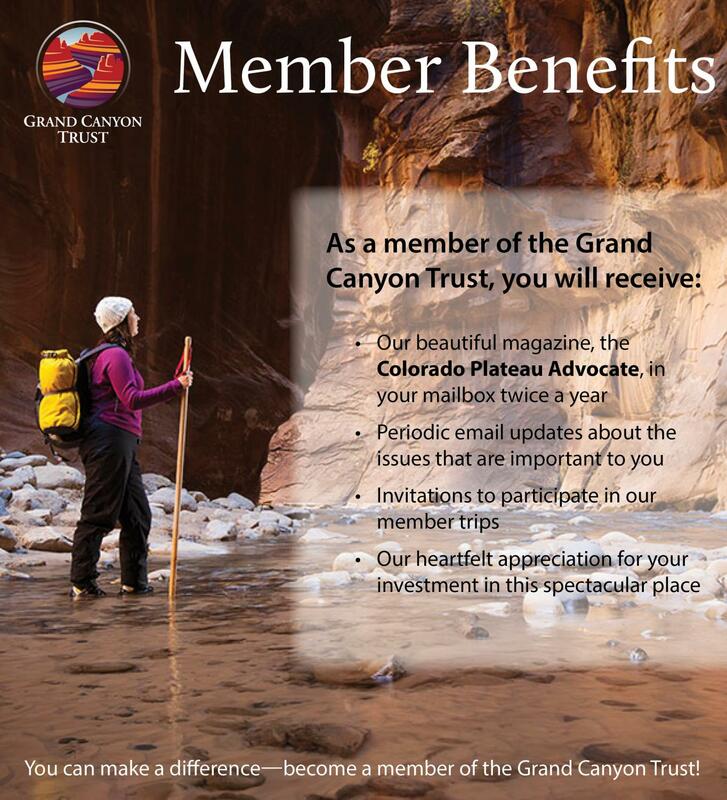 Donations of $50 or more qualify you for member benefits! 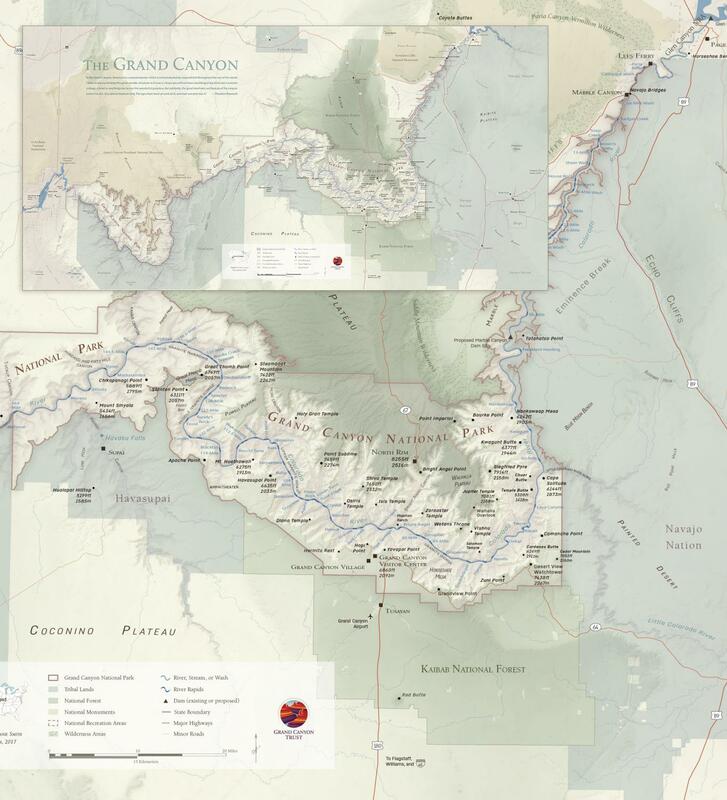 Make a donation of $500 or more and receive our Grand Canyon map.